week in the news … from minden st. 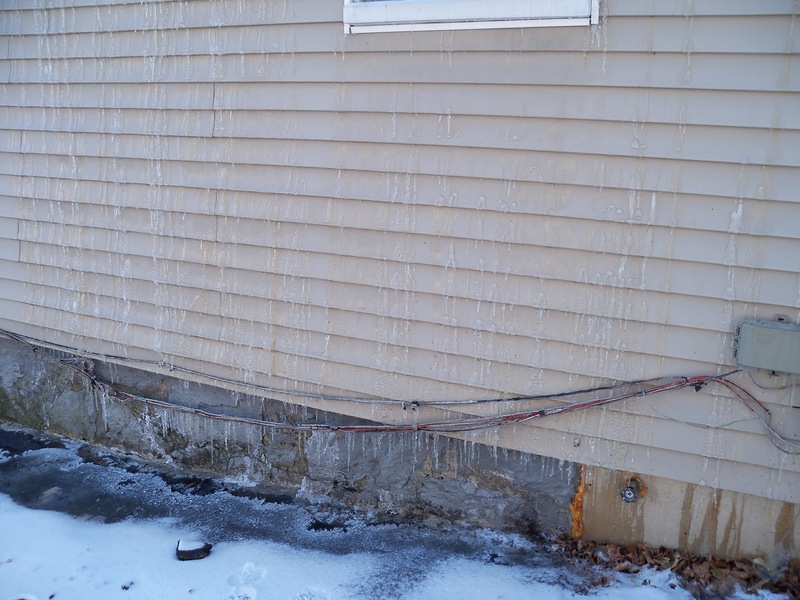 Frozen pipes, caused by the improper winterization of the foreclosed unit below us, had thawed and burst during the workday. Water was pouring down the outside wall of the building, had saturated the unoccupied flat and the basement, and had finally started to bubble up through a crack in the kitchen cabinet of our apartment. 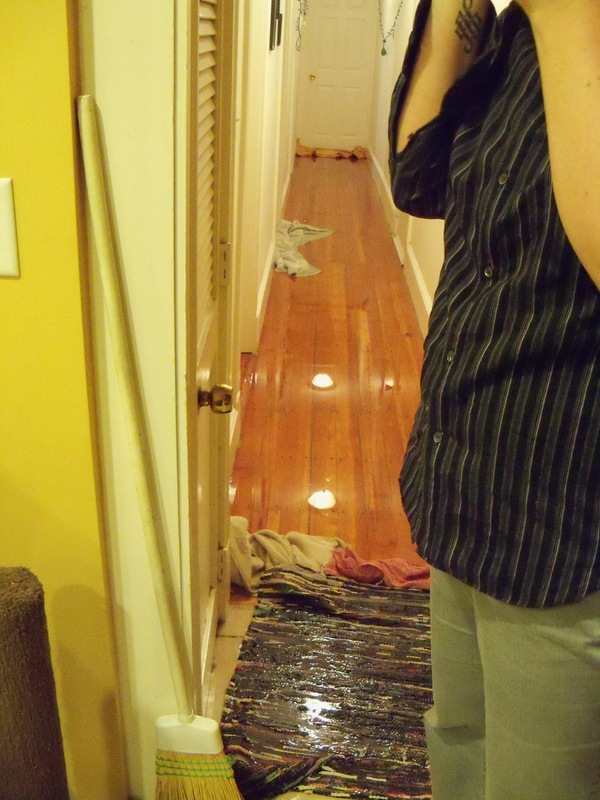 Flooding the kitchen floor into the hallway. The blue bin above, at the source of the leak, was filling about every 20 seconds as we frantically hunted for the water main shutoff (protip: if you are a tenant and don’t know where the water main and electric main are in your building, find out!) and got on the phone to our landlord’s maintenance guy. He eventually had us call 911 for assistance from the fire department (wonderful, wonderful emergency workers who arrived when we needed them!) who shut off the water, electric, and heat pending a full inspection and restoration of utilities the following day. Did I mention we’re in the middle of a below-freezing cold snap? Thank heaven our cats can self-warm with fur and we were able to decamp for a hotel that night. We are back in our apartment now, with the utilities mostly functional, and face only the long tail of damage assessment and repair. Thankfully, our own belongings were minimally damaged — it could have been so much worse! As it is, we only lost one advance review book I’d left on the kitchen floor and a scratching post of the cats that was on its last legs anyway. Hanna’s parents, who were willing to wake up in the late evening to let us decompress. My parents, who offered to help with some immediate out-of-pocket expenses. The fire personnel who were there when we needed them, and did a professional job. The kind hotel staff who warmly welcomed our rather careworn selves at 10:30pm. The waitstaff at the Paris Creperie who made me crepes and hot chocolate to go fifteen minutes before closing. Our landlord, who was on the phone with us almost daily this past week to ensure we were on the same page and that we were back home as soon as possible. We are so grateful to have a good working relationship with him and hope to continue that partnership for years to come. Our landlord’s plumber and electrician who both put in long hours on the weekend to get us safely back into our apartment. The city inspectors who have followed up to ensure the situation was being addressed properly and in a timely manner. All of the colleagues and friends who’ve listened to the telling and retelling of the story with sympathy. The colleagues who have accommodated scheduling hiccups as we need to rendezvous with various service providers. The fact that our own living space was minimally damaged, and that we can continue to live in an apartment/neighborhood we are growing to love. 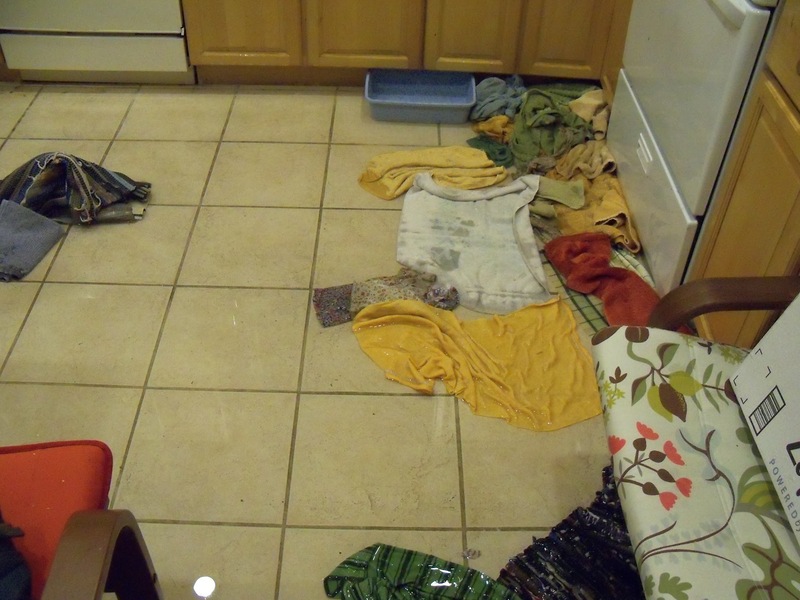 The fact that our cats were a bit freaked but safe and sound when we got home to the flooded kitchen. The opportunity this experience is providing us for learning all about how condo associations, foreclosures, and homeowners insurance works! Our childhoods, which provided us both with the rough-and-ready experience of managing when faced with sponge baths, jury-rigged plumbing, and the necessity to bundle up in the short-term as long-term repairs are being made. I devoutly hope 2015 has thus far treated you and yours well! Enjoy your long weekend & look for more regularly scheduled programming soon (I’ll be back to reading books, fingers crossed, as our life settles back to a hum of routine).